You must have noticed of late that your friends and followers are posting selfies with their artwork doppelgängers on social media. It all sprang from the popular facial recognition art app called Google Arts and Culture app, which matches your selfie with a renowned pieces of artwork. The app also lets you explore art by different styles, time periods and colors. It also offers a catalogue of features and articles on art history and artists. A year after its inception, the app topped the iOS and Android download charts last month. It is available for free on both Apple app store and Google Play store. The popularity of the app also caught the attention of the celebrities such as Kristen Bell, Pete Wentz, Sarah Silverman and Busy Philipps, among others. Once you take a selfie using the app, the AI in the Art app detects a face in a picture and creates a faceprint. Each selfie that is uploaded is compared with 70,000 artworks available in its database. 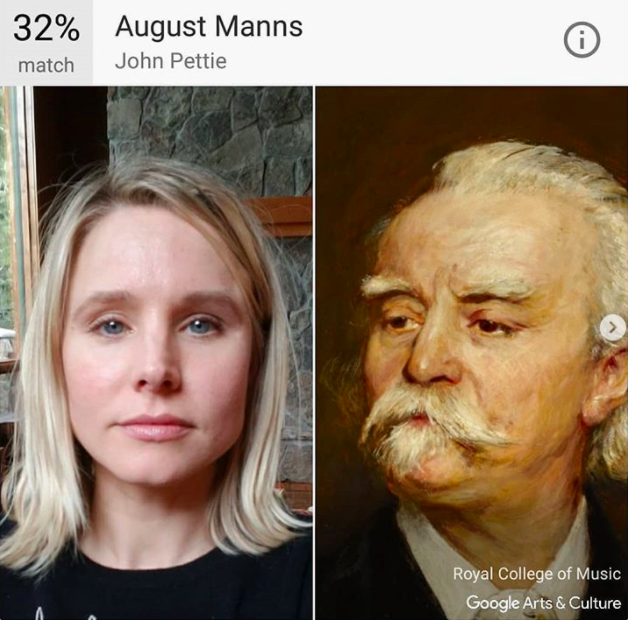 The main interface of the Google Arts and Culture selfie comparison tool is the selfie camera. After you download the app from the app store, open the app and scroll down until you see the white box surrounded by portraits that says ‘search with your selfie’. Next – you are ready to take a selfie. Line up your face inside the boxed area and snap a picture. 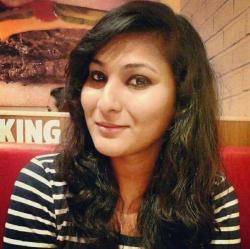 After you take a selfie, the AI then analyses your face within seconds. Once matched, the app will show the artist who made the painting along with the museum it comes from. It also shows you how much you resemble with the vintage portrait with a percentage come up with each comparison. But sometimes the result might disappoint you. The app isn’t dedicated solely to comparing selfies with paintings, it also lets you take virtual tours of historic museum such as Art Gallery of New South Wales in Sydney, Australia. You can also browse artworks by color and time period and zoom into famous artworks like Grupo ruptura and Arte Concreta – The Adolpho Leirner Collection of Brazilian Constructive art at the Museum of Fine Arts, Houston. According to a report, Mumbai-based Android marketer Amit Sood started this project as a side venture, who devoted 20 percent of his time at the company to explore how to make artwork accessible online. Sood initially approached 17 museums about collaborating on the project and later he combined it with similar efforts inside Google. His group developed a robotic art camera that allows museum to make detailed images of their works and enlisted more than 1,500 international museums from 70 countries. It introduced the smartphone app two years ago which gives access to museums’ online collections, VR tours and guides to artwork. “I’m not really from the art, cultural world. I stepped into this a few years ago. I’m very glad I did but I wish I had had access to art and culture when I was growing up. Where I grew up, it’s not really the done thing to go to a museum. It’s an accessibility issue – very gently put. For me, (Google’s Cultural Institute) is the best example of how art and technology really breaks down this whole accessibility problem of art and culture,” the director of Google’s Cultural Institute said. However, the Google does not let you download the image from the Art project. “We don’t allow downloading. That’s at the request of the museums,” Sood said. According to a report, the app also faced criticism for its lack of diversity. Some even said that the app lacks a variety of Asian art. However, it is unclear whether Google lacks artwork collections or there is an issue with the facial recognition. Apart from these issues, users are also wondering what the search giant plans to do with theses selfies. These selfies could be uploaded to Google as a way to train Google’s facial recognition algorithms. However, Google has explicitly denied it in its blog post. They said, “We created an experiment that matches your selfie with art from the collections of museums on Google Arts & Culture. Even if your art look-alike is a surprise, we hope you discover something new in the process. (By the way, Google doesn’t use your selfie for anything else and only keeps it for the time it takes to search for matches. )” And according to Google’s terms of service, “Any content that you upload to its servers can be used for the limited purpose of operating, promoting and improving our services, and to develop new one. The license continues even if you stop using our services.